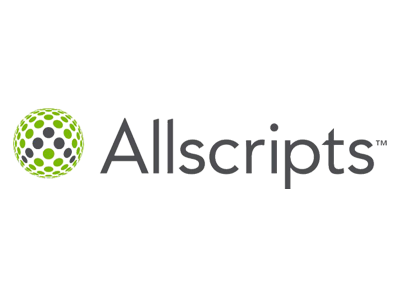 Allscripts/, a fast growing company in a hot industry, develops innovative software for the health care industry. Their software is utilized in pocket PC's to automate the prescription process. Allscripts had recently acquired a company and it needed to develop a system for accurate billing and reimbursing the acquired company's time and expenses. Allscripts needed a solution that would allow its consultants to complete and submit their time and expense reports from the office or the field. Allscripts evaluated several applications before choosing Automation Centre's Tracker Office, which includes Project, Time, Expense, Customer, Personnel and Reports tracking. TrackerOffice is Microsoft Outlook compatible, which allowed Allscripts to leverage its existing infrastructure, minimized training, and resulted in rapid and high acceptance. Approximately 200 people now enter and manage their billable and non-billable activities from the field. TrackerOffice has also provided the company with a customer centric database, lists of customers by manager and region, and allows them to manage customer documentation. As requested by the client, Automation Centre tailored the application so that no one can adjust an invoice except for the invoice's originator and the invoice is posted to the Allscripts' accounting system. Allscripts plans to have 400 users in the near future. The TrackerOffice zero-impact philosophy and use of Outlook 2000 really made a difference at AllScripts. We currently have 300 users that tell us TrackerOffice has created a very friendly time and expense reporting environment, and improved their overall productivity. Acquiring a company is never easy, but the Tracker software made Allscripts transition smoother. With TrackerOffice, Automation Centre created an invoicing module which links reports to Allscripts accounting system. This has significantly increased the accounting department's turnover of expense reports, i.e. expenses are invoiced to clients faster and the sales force is reimbursed sooner for their expenses. Tracker has also improved the accuracy of the charge back of expenses to account codes and eliminated ambiguity in expense and time tracking. Further, Tracker's Data Warehousing application provides management with instantaneous reporting as well as allowing the integration of staff timesheets with Allscripts' payroll system. This integration allows Allscripts to pay its employees based on TrackerOffice timesheets with minimal accounting involvement.